Cape Town – Deputy President Cyril Ramaphosa was in a tight spot on Wednesday when he was asked if it’s rational for President Jacob Zuma to appoint a commission of inquiry into state capture, when the president himself is implicated in the allegations. Ramaphosa was quiet for a moment and then chuckled before responding: “The president is applying his mind. “Now clearly the law is what it is. A commission of inquiry needs to be appointed by the president – that’s what the Constitution says and there are no two ways about it. But at the same time we’ve got the criminal and justice investigation entities looking at all these matters that have arisen through the processes,” Ramaphosa said. Ramaphosa pleaded with MPs to allow the process to unfold. 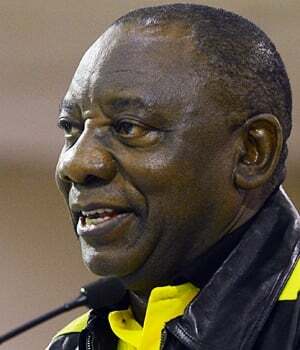 Ramaphosa was answering questions from MPs in the National Assembly on Wednesday on a number of issues, including whether he has been aware of the Gupta family’s alleged influence at Eskom as well as progress with reforms at South Africa’s state-owned enterprises (SOEs). The deputy president reiterated that the Presidential Review Committee and the Inter-ministerial Committee tasked with the overhaul of SOEs will soon formulate a number of interventions, including a framework for private sector participation. “Significant work has been done on the consolidation, realignment and possible mergers of certain SOEs, such as state mining, telecommunications and our airlines,” Ramaphosa said. The reforms also include proposals for state funding of the SOEs, but financial support must be matched against the SOEs’ potential to remain sustainable and their ability to wean themselves from government support. In a follow-up question, Mkhuleko Hlengwa from the Inkatha Freedom Party said the problem with SOEs is that their board members are all “dismal failures”. “Hasn’t the time come to look at the manner in which these boards are compiled?” Hlengwa asked, adding that it’s high time to dissolve the Department of Public Enterprises and put the various SOEs back under their line departments. Ramaphosa said the appointment of board members is getting attention through the work done by the SOE committees, and government is looking at a “uniform system of appointing SOE board members”.